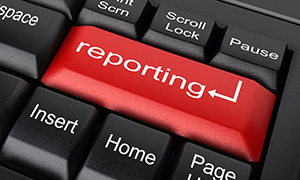 employers to submit injury and illness reports electronically. This proposal does not create additional recordkeeping or reporting duties for employers. Rather, it would dictate how this information must be submitted to OSHA. Depending on the employer's size and industry, OSHA would require the quarterly, annual or limited electronic submission of work-related employee injury and illness reports that these employers are already required to maintain under current regulations. OSHA is providing the public a 90-day window to comment on the proposal. All comments must be sent to OSHA for evaluation by Feb. 6, 2014. In addition, OSHA will hold public hearings on this subject in Washington, D.C., on Jan, 9, 2014. As with any proposal, it may be some time before OSHA finalizes a rule concerning this issue and the final rule may vary considerably from the proposal. Had at least 250 employees during the previous calendar year, including full-time, part-time and seasonal workers. These employers would be required to submit some of the entries they already make on OSHA Forms 300 and 301. Information from OSHA Form 300A would still be required annually. The proposal would not apply to establishments that are exempt from keeping injury and illness records under OSHA regulations. Partial exemptions for employers in some industries may be possible. OSHA estimates that this will present a small burden to employers when compared to the benefits derived from the proposed rule. Had at least 20 employees during the previous year. These employers would be required to submit information from their annual summary (OSHA Form 300A). This requirement would replace the current requirement to fill out and send the annual survey. OSHA opted to propose an annual instead of a quarterly requirement for these establishments to avoid placing an unnecessary additional burden on them, because some may not have on-site Internet access. The list of identified, high-risk industries is compiled by using the data reported by all reporting establishments. Currently, the list of identified, high-risk industries includes industries where, on average, employers experienced two or more serious injuries or illnesses per every 100 full-time employees (DART rate in BLS SOII), excluding four selected transit industries where local government is a major employer. The data used was from the 2009 report, but OSHA expects to update this information by the time of the final rulemaking if more current information is available. Below is the list of affected industries based on the 2009 information. Under the proposed rule, OSHA may require certain employers to electronically submit specific information from their existing work-related employee injury and illness records from time to time. These requests will be limited to certain employers in certain industries and will require specific information for a limited period. Employers will be expected to comply with these requests only during the interval or period specified in the notice. OSHA will notify affected employers of their obligation by mail, through a publication in the Federal Register, a notification in OSHA's newsletter and an announcement on OSHA's website. Target inspection and outreach initiatives under OSHA's emphasis program. As part of this proposed rulemaking, OSHA is planning to create and maintain a secure website for the collection of employee injury and illness report data. According to OSHA, the website would allow for direct data entry and the submission of batch file uploads. OSHA is accepting public comments and recommendations on the design of the system to make sure it addresses issues of efficiency and confidentiality. $9 per year for affected establishments with 20 or more employees in designated industries. OSHA believes that having direct, timely and systematic access to useful, accessible and establishment-specific data will enable it to better identify, target, remove and abate workplace safety and health hazards. The following are a number of the benefits that may result from implementing the proposed rule. Employers and others who wish to learn more about the proposed rule, and to have a discussion of possible alternatives to the rule, are encouraged to visit OSHA's website and submit their comments and concerns electronically, by mail or by fax. Fickewirth Benefits Advisors will continue to monitor this proposal and will make additional information known to you as it becomes available.